Too white to do my Mixed Kids Hair? So… in case you didn’t know I am a white woman. I write the weekly hair column for Multiracial Media, as well as have my own site — MixedFamilyLife.com. Does the fact that I’m white matter to you? I hope it doesn’t but apparently it does to some people. 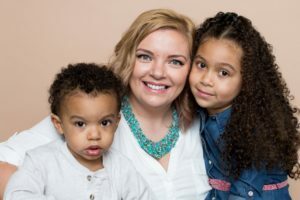 On my blog I share biracial hair care tips and tutorials, along with sharing stories about our lives as a multiracial family. It’s about our lives. It’s things I’ve learned and want to share with others so they don’t have to struggle like I did (and still do?) Does the fact that I’m white negate our truths? What I’ve learned? I don’t think so but to some it upsets them that I am a white woman sharing tips on how to do multiracial kids hair. Even though my multiracial children are half WHITE and half ME… I am not qualified to speak on the subject (apparently). 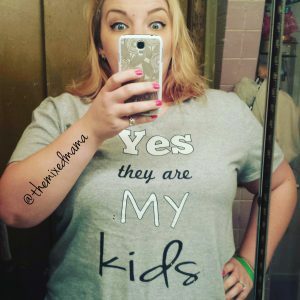 Has anybody said anything negative to you about your ability to do your multiracial kids hair? Anybody made comments on how you should or shouldn’t do their hair? I would love if you shared these. Thanks for reading and I look forward to hearing your answers! 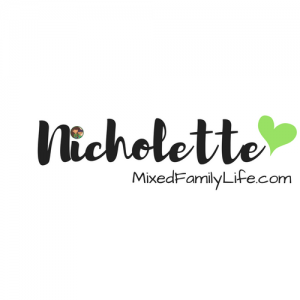 Don’t forget to check out Nicholette’s site Mixed Family Life if you liked what you read and her other post’s here on Multiracial Media.